The best gyms in town always cost us a bomb. Especially if we’re looking to hit a gym in an area like Begumpet, the odds are higher. Or that’s what we thought, before discovering a list of fitness centres that refuse to pinch our pockets. So, here's a list of gyms in and around Begumpet. Sri Dance And Fitness Studio located opposite Country Club offers professional training on various dance forms such as Zumba, aerobics, salsa, hula hoop, b-boying, hip-hop, among others. Apart from choreographing moves, you can also make use of their gym equipment to achieve your fitness goals. Price: INR 2,500 (gym), INR 3,500 (fitness) and INR 5,000 for a combo of both, per month. If you're looking to get in shape, with an exciting and new workout every day, then Slim Touch Fitness Zone is the place for you. Located in Ameerpet, the gym goers here claim that the trainers are the most supportive lot, and they provide diet recommendations as well without burning a hole in your pocket. Fery’s Yoga on Raj Bhavan Road is a studio where you can learn Satyananda Yoga. It believes in harmonising all levels of human life and experience through practical means. You can go here to improve your concentration skills, health and to relax. 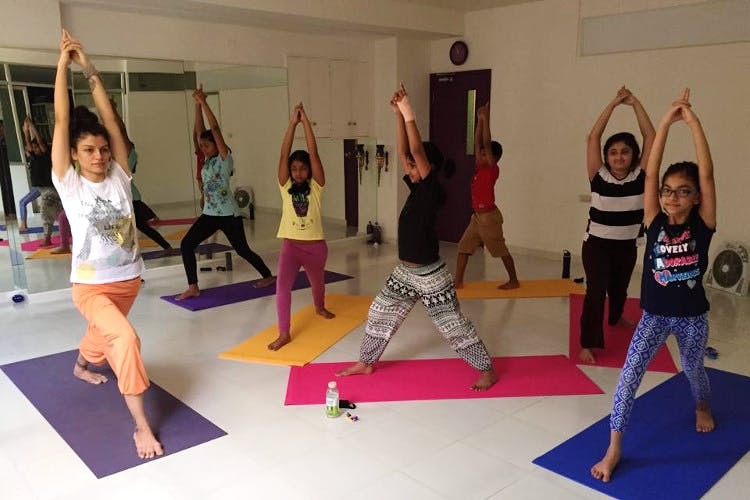 Fareena, who runs the place has over seven years of experience in Yoga and excels as an instructor making a difference in the lives of her students. Unleash the badass in you by joining the professional boxing classes at BCUBE inside Country Club in Begumpet. Make your body independent of equipment, and get fit the natural way. Not just fitness, having boxing training can also help you be brave and throw a punch when safety demands it. These classes are for kids as well as adults. If you're looking for a modest place where the trainers are competent, and there is basic equipment — check out Fitness Fast in Sindhi Colony. Ideally, personal training is the best offer to avail from here, as that assures the work out is tailored to your fitness needs. It can get a little crowded, however. But, if that's fine by you, it's one of the best budget gyms in the area. Price: INR 5,000 for three months.